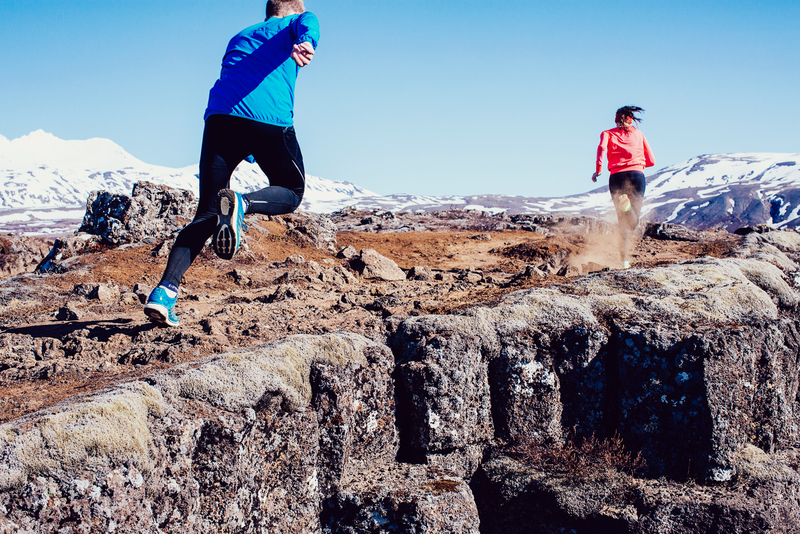 Running has grown a lot in popularity in Iceland over the last few years, with around 90 running events being held in the Iceland every year. Here is a list of the ten most popular races in Iceland 2015, counting only timed distances. The Reykjavik Marathon is by far the biggest running event in Iceland. In addition to the four timed distances there is a 3K fun run and a very popular kids run. In 2015 the Reykjavik Marathon had 1,064 marathon finishers; 157 of those came from Iceland and 907 from other parts of the world. This midnight race is held around summer solstice when the whole night is bright. The race starts and ends in Laugardalur valley where many of Reykjavik’s main sporting events take place. It is run almost entirely on asphalt paths. Truly a midsummer celebration for runners! The 5K IR‘s Cross Country Race is the oldest continuous event in Iceland. The race celebrated its 100th anniversary in 2015 with a new route that takes you down Reykjavik‘s main shopping street, around the pond and past all the main monuments in the city centre. The race is held late April on the first day of summer, a public holiday in Iceland! There is no better way to say goodbye to the year than to participate in ÍR’s New Year’s Eve race in Reykjavik, held every year on the 31st of December. This 10K race has a very festive atmosphere with many runners turning up in fun costumes. It starts and finishes next to the spectacular Harpa Concert Hall and Conference Centre. The course is fast and scenic but wind, ice or snow might make that PB difficult to reach. The 7K Icelandair Airport Run was first held in 1995 and has grown steadily ever since. The raffle prices are very tempting and are perhaps the main attractions, along with the fact that the course is flat and fast. The race is held in May and the course takes you around the domestic airport in Reykjavik. A tough distance to race as you always seem to go out on 5km pace and then realize there are 2km left! The races between 6 and 10 are just as much fun as the aforementioned 5 largest races. I’m coming over to Iceland in sept 2016. Is there anywhere to find any races scheduled on sept 18? Are there any trail races in October 2017? Unfortunately not Lorna, there are not really any trail races during winter in Iceland, the last one of the year is in September. It was yesterday, Saturday in Thorsmork.